If you’re like me, you’re always looking for inexpensive ways to decorate your house, especially when the holidays roll around. Every year since I’ve have been married, I have wanted to decorate for every holiday, but mainly Fall/Thanksgiving and Christmas. I’m ashamed to say I’ve utterly failed in that department. Until last year, that is. This year is my first “stay at home mommy” holiday season and I’m so excited! If only you could see inside my head – it’s filled with ideas for pretty much every area in my life (or room in the house that is) and I know I will never have the time or money to make my imagination a reality. A girl can dream, right? As of now, my husband, toddler, and I have been living upstairs at my in-laws home for almost two months. Despite popular belief, it’s actually working out quite well. My little family lives upstairs where we have our rooms, a bathroom and a little living area. It’s cozy and we are trying to make it our own for the time we are there, but it is also just what we need for the moment. 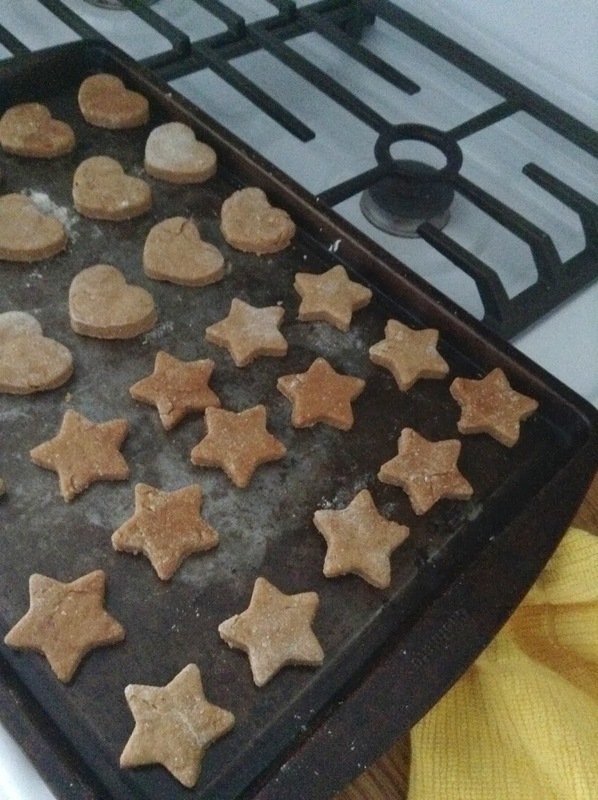 I have been making my own crackers for the babe since the end of summer, when we realized that animal crackers (the brand that we buy at least) had high fructose corn syrup in them. (Now, I’m not a big freak about that ingredient, but if I can, I do my best to avoid it.) 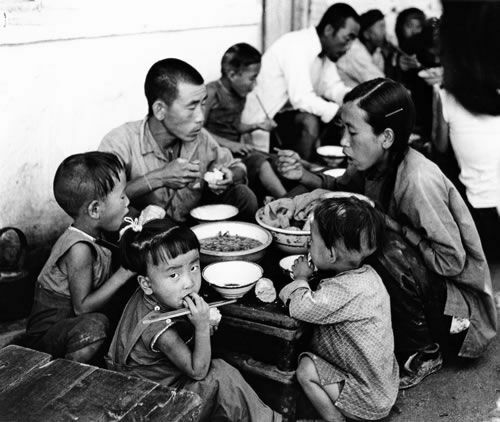 I have tried multiple recipes, most of which are very yummy, but my tiny taste tester was only partial to a few. Below are the yummy, yet rejected recipes that I have tried. Oatmeal Animal Crackers by 52 Baby Steps. These were very tasty, but I think that they were not thick enough to gnaw on and therefore soothe L-bug’s gums. Also, they call for a lot of vanilla which can be expensive if you are buying the extract instead of imitation flavoring. 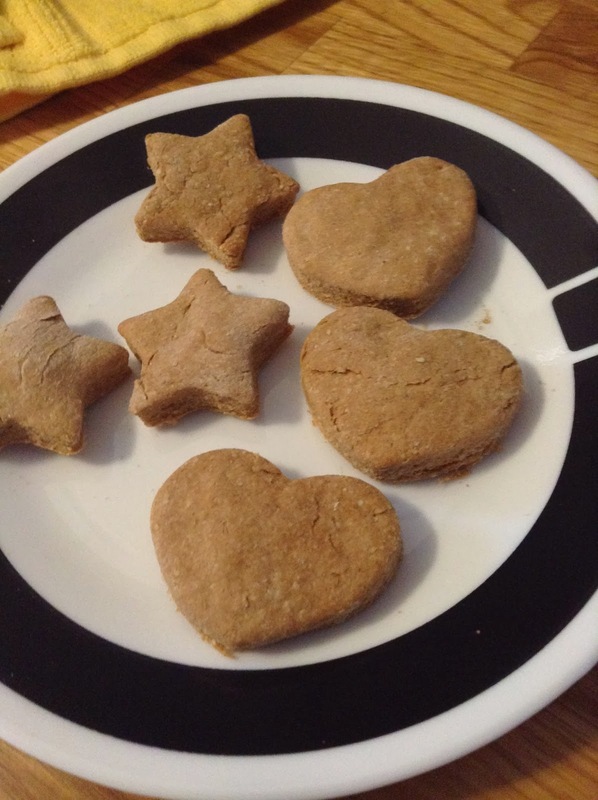 I added about 1/2 teaspoon nutmeg to the recipe and they tasted a lot like traditional animal crackers. My husband and I could gnaw on these all day, however! Honey Whole Wheat Graham Crackers by Heavenly Homemakers. 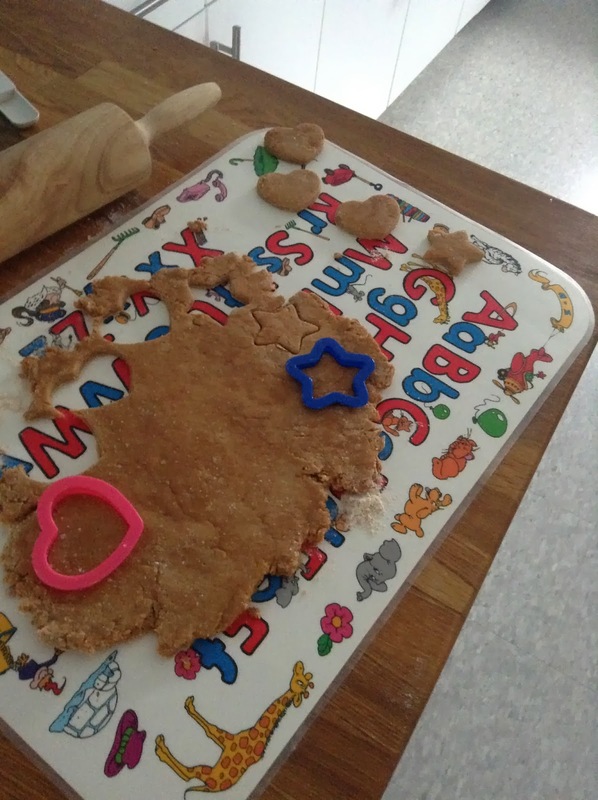 These were another tasty cracker but again, a hit or miss for my little one. I added some molasses at one point which gave it a different, but yummy flavor. Homemade Graham Crackers by What’s Cooking with Melissa. These were a little bland for our (the parents’) tastes, however L-bug liked them. I think I will try these again after I am out of my current batch. 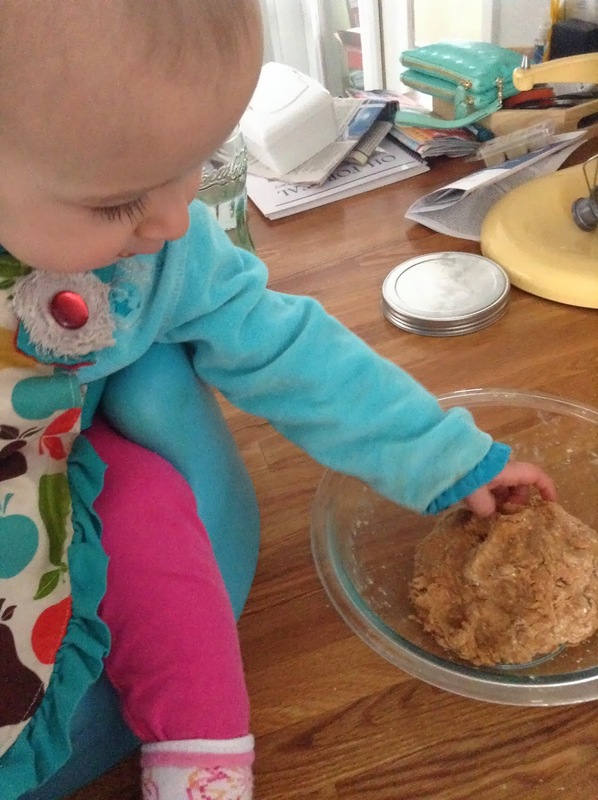 Which brings me to the most current recipe: Homemade Baby Teething Biscuits from Imprintalish. I did modify this recipe using what I had on hand so if you are interested in the original, definitely follow the link above. 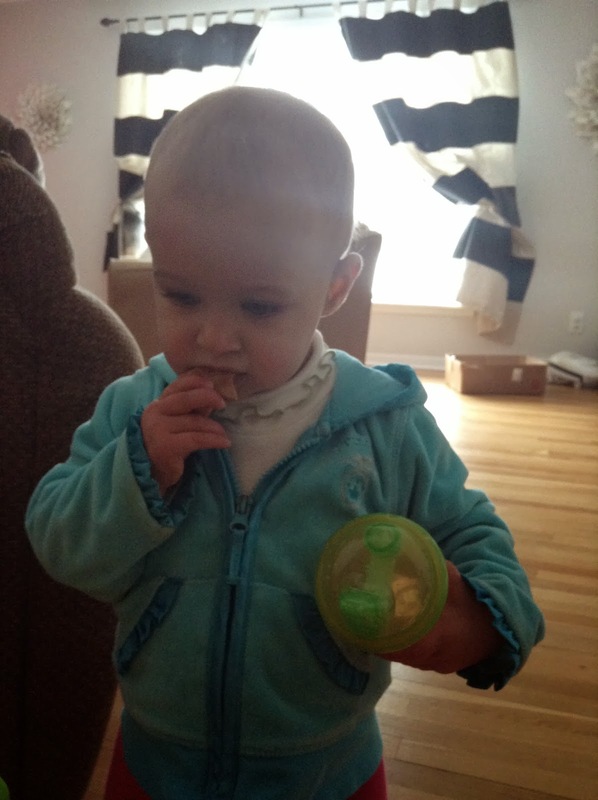 These crackers are another bland one but the little one liked them right off the bat. Since then she has been a little picky but I have decided that she must be hit or miss with crackers; some days are cracker days, others are not. These crackers also have NO SUGAR in them!- which is always a plus when you’re talking about little ones. Here is a tutorial about how to make these great crackers! 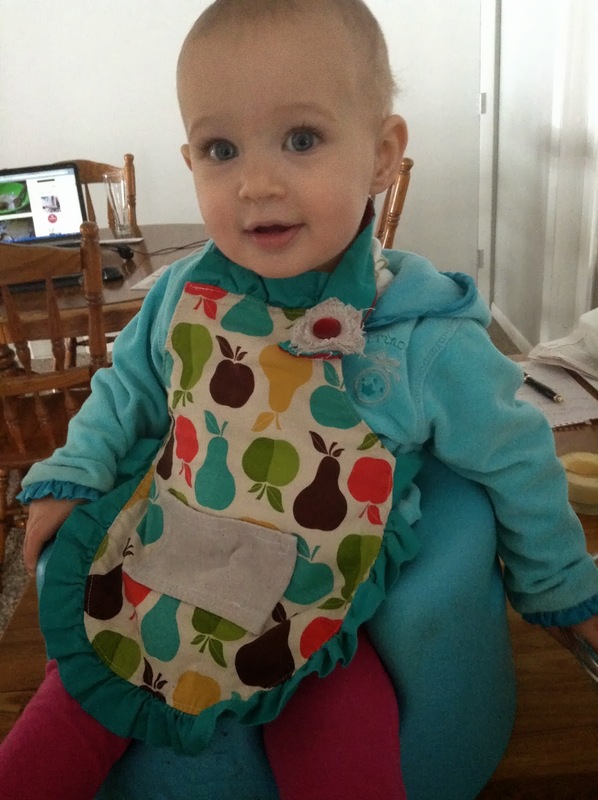 First preheat your oven to 425 degrees, then gather your ingredients (and a little helper-as seen above). 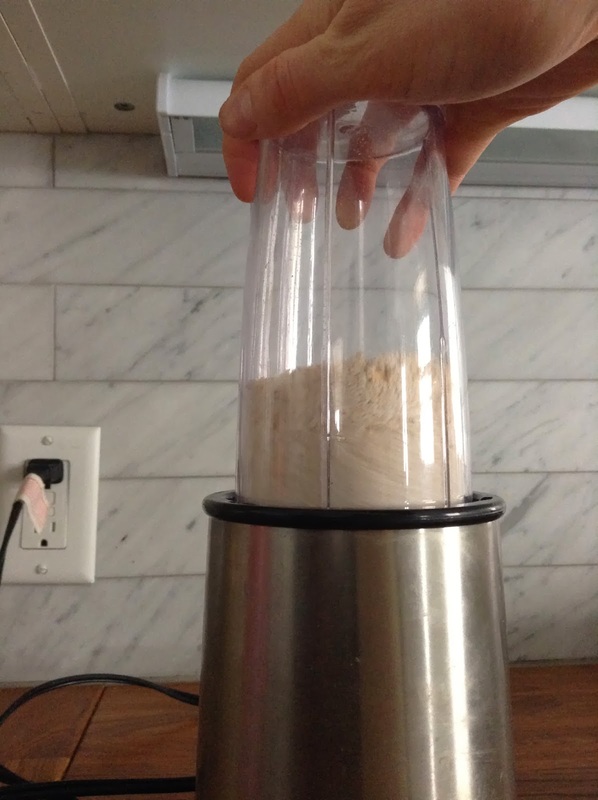 I made my own oat flour by blending a cup of old fashioned rolled oats in my “magic bullet” until flour-like consistency. 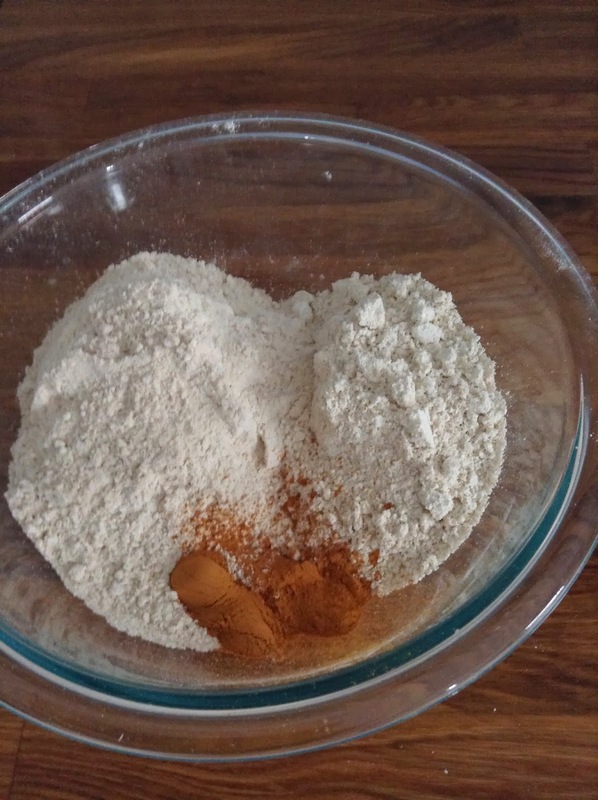 Combine your dry ingredients in a bowl. Then its time to mash your banana. 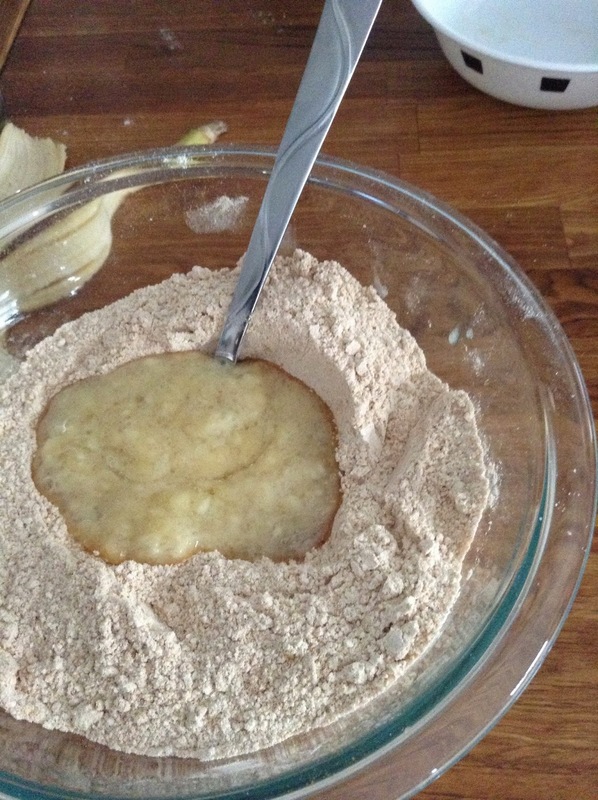 Add the oil and water to the mashed banana and combine. Then mix your wet ingredients into your dry. You want a non-sticky, firm dough. If you find that it’s too firm, add more of water, 1 tablespoon at a time. Allow your little taste tester to do her work 🙂 Then roll out the dough on a lightly floured surface until about 1/2 inch thick. Cut into squares or use small cookie cutters. Place cookies on a greased cookie sheet and bake for approx. 10-12 minutes, or until slightly brown. I watched mine closely since the dough was dry/firm, I thought that they would be done faster and I didn’t want bricks, but they took about the normal time. Allow to cool completely and store in an air tight container. (*Note*: I kept mine in the fridge after a few days just because there are no preservatives in them and I didn’t want them going bad). Then let the little teething monster gnaw away! Enjoy!